Parisian teenager Lou has an IQ of 160, OCD tendencies, and a mother who has suffered from depression for years. But Lou is about to change her life—and that of her parents—all because of a school project about homeless teens. While doing research, Lou meets No, a teenage girl living on the streets. As their friendship grows, Lou bravely asks her parents if No can live with them, and is astonished when they agree. No’s presence forces Lou’s family to come to terms with a secret tragedy. But can this shaky, newfound family continue to live together when No’s own past comes back to haunt her? Ahhhh, this book is just CHARMING. 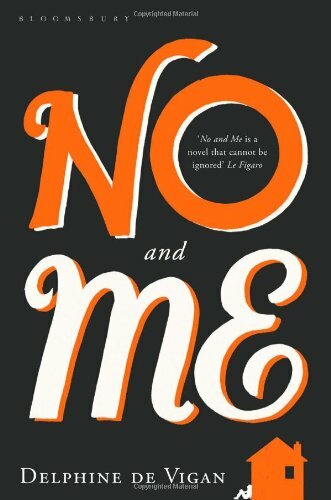 I had no idea what to expect or if No and Me would be my kind of read ~ I really didn't expect to LOVE it as much as I did. It's a really different read to most contemp YA's I've read lately ~ which could be because this is imported and translated from French. It's very much a book for people who appreciate literary fiction, lyrical writing and just poetic and gorgeously funny sentiments. This is due to the CHARMING and unique narrator, Lou ~ who has leapt on to a list of protags I ADORE. I'm not going to go much into the plot (you should discover it for yourself) but it centres around Lou (who's 13 ~ but skipped two years of school and is with the 15 year olds) and No ~ who's 18 and homeless. I wondered if it would be too MG for me (with a younger narrator) ~ but it's the opposite ~ it could easily slip into adult sales with it's intelligent and gorgeous protag and it's outstanding prose. It really is a cut above in terms of YA literary fiction ~ I was continually pausing to re-read sentences and paragraphs and just to make sure I was not missing out on even one perfectly placed word. Alongside Lou and No, there's Lou going to school (and the usual coming of age school stuff ~ parties and a crush ~ there's always a guy, hey ~ and assignments) and also Lou's parents ~ who I loved as characters. Lou's mum was beautifully handled ~ there's some painful family history and some mental illness and it was achingly told. But it's not the plot that had me enthralled (although I was invested in the story). It was the writing. I felt like I could keep pausing to jot down half the book into my journal of favourite quotes. I haven't crushed this hard on writing for a LONG time ~ it was perhaps reminiscent of Maggie O'Farrell and Sonya Hartnett for me ~ authors who make me gasp and think and just revel in words and ideas and sentiments. It's FRENCH YA (oooh, la la) from an award-winning novelist. It's gorgeously different and begging to be read. 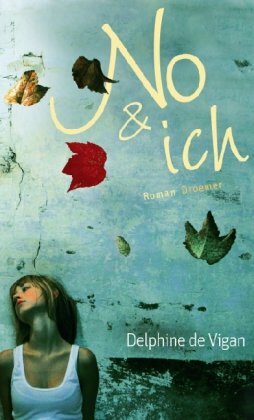 I'm loving the 'No & Ich one ~ gorgeous and evocative! Mate, how much did I LOVE this book? Me & the paranormal thing: Me and paranormal YA usually do not mix. I don't read a lot of the genre and when I attempt it I usually feel very blah about it ~ even popular well-loved paranormals bore me... it's just the way it is :) However, I often feel like I'm out of the loop ~ A LOT of people seem to be having THE BEST time in the paranormal scene, so I'm often on the outside looking in and hoping to one day . All this to say: I'd seen a lot of good mates REALLY LOVE Unearthly so I started to get pumped about it while still holding my breath in case it wasn't my thing. seamless, well-written prose that's easy to sink into (the pages fly by ~ OKAY, so I got addicted and couldn't put it down...). A main character to love, a couple of fictional boys whom I was oh-so-delighted to be introduced to, and a story that kept me charmed the whole way through. You know when you read a book and then later emerge from the pages and feel like you have literally been transported to another place and time? That was me and Unearthly ~ the setting was LOVELY ~ I just soaked it up. It was so easy to become immersed in it: the small town vibe, the high school halls and the forest ~ all beautiful. The whole VIBE of the book was just refreshing. It's a book you could happily pass on to younger YA readers (the angle lore was done really well, it felt good and clean and intriguing) ~ yet will also appeal to anyone who enjoys a GOOD coming-of age. There was nothing tacky or cringe-worthy about it. 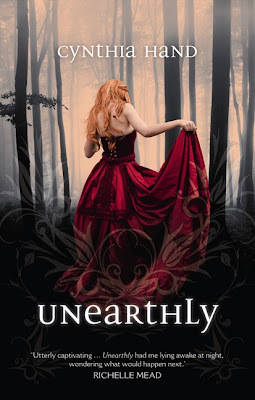 Unearthly also features a pretty STUNNING kind-of twist in the climax ~ which has me SO hanging out for the sequel ~ yet it didn't leave me with a painful cliff-hanger. Perfectly done. Unearthly @ goodreads: current rating of 4.38 with 1, 600 ratings. 'I'm a daughter of my homeland. We're Irish. It's all we need to know. ''This isn't Ireland, Niamh.' Kilkenny Pat cut through her words. 'It's a new country. It is 1854 and Ballarat is teeming with miners, dreamers and rebels. On the eve of the Eureka Stockade battle, Fintan Donovan is fighting private battles of his own. Torn between his Irish upbringing and his friendship with an English boy called Matthew Ward, Fintan must make a stand. Will he be dominated by the hatreds of the old world or will he find a new way to live in the new country? Well, gosh. I was pretty pumped about the premise of this book. 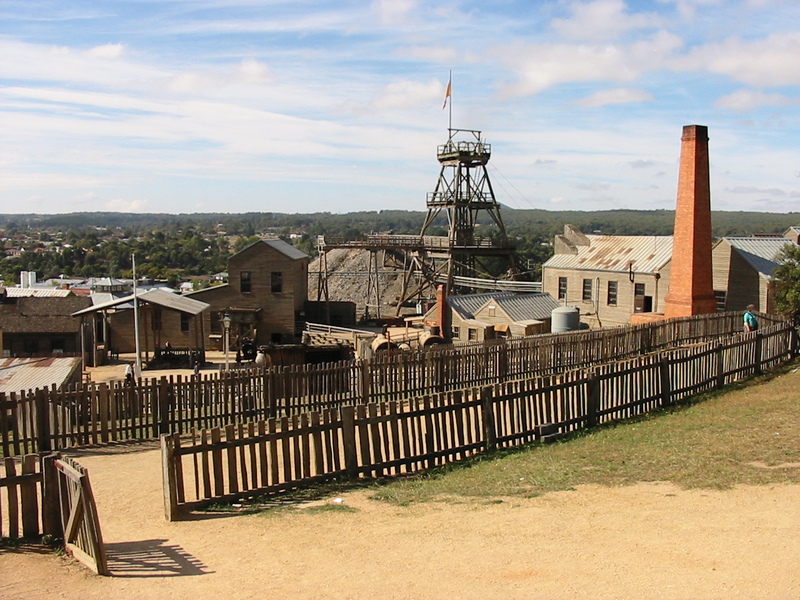 Ever since I went to Sovereign Hill in Ballarat (as a girl) I have been fascinated with the bush-ranger/gold panning era and haunted by the story of the Eureka Stockade. Plus, who doesn't love an Irish narrator? The Valley of Blood and Gold is a book you easily sink into . It begins with an authentic flavour that matches the era and the narrators heritage. Like the Australian landscape in the 1800's, the book has a dusty, raw, brave and tough vibe to it. Our narrator, Fintan, is an Irish teen, orphaned and living with an enigmatic and unaffectionate widowed Aunt and his two little cousins. 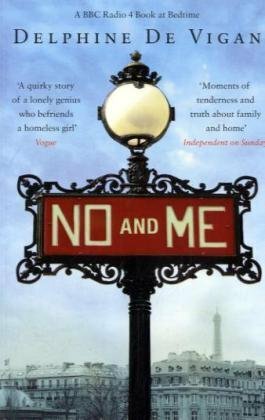 His uncle (aunt's brother) is around a bit, jovial and caring ~ yet no one will talk to Fintan about what happened to his parents or who they were ~ the plot-line about the mystery surrounding his deceased parents deepens and builds throughout the book, creating mystery and leading into the climax. There's a sense of adventure and wonderment buzzing in the book despite how hard life was for immigrants during that era. So... as for the vibe of this book? It very much reminded me of some of Jackie French's work. Historic and authentic and a great mix of English and Irish settlers who have the unmistakable beginnings of an Aussie spirit. The setting and era really make the work stand out as a fantastic backdrop for one boys story. As for the plot? The actual Eureka Stockade battle is only a small slice of the climax (I actually would have liked more detail with the battle ~ it did inspire me to google and refresh my memory about it all). The story itself is one of forbidden friendship, family secrets, bush-rangers and life and survival in early Australian times. There's bush-rangers. And murders. And a hanging of a beloved character ~ which is sad and startling. There's a cool plot-line about building a bridge and a sense of beginning something new in a wild and exciting land. I loved the Epilogue. I think it worked brilliantly to bring a greater depth to the story ~ being able to revisit the characters years on and see what the future held for them. Recommended: The Valley of Blood and Gold is a fine addition to the Aussie YA scene ~ with it's vivid depiction of Australian life in the 1800's. The characters are true 'characters', lively and raw, they keep the pages turning. With it's quiet sense of humour and a steady pacing, it's a historical book that can capture your mind and transport you to a fascinating time and place. I really enjoyed it and think it will have great appeal to Aussie teens, and boys especially ~ with it's relatable male narrator. My name is Hamish Graham and this is the journal I have to write. The people who run this place don’t know what to make of me. Just like the last place I was in. Confession: I would not normally be drawn to a book with this title/cover. So when it rocked up I wasn't too sure it would be my thing. But, mate: it was insanely compelling, fascinating and just, ugh, I LOVED it. I read it within two sittings. It is a New Zealand YA book ~ released in NZ in 2007, and just now released in Australia. It's the story of one fourteen year old New Zealand boy ~ who is transferred to yet another juvenile detention centre. He's not a troubled kid with a sad past. He's a mini genius from a good home. A very violent mini genius. Being in his head is completely riveting: from the way he thinks to the things he loves and admires and seeing why he did some of the outrageous and horrifying things he did. He is the sort of kid that could grow up to be Dexter (from Jeff Lindsay's books, now made into a TV show). I read it wide-eyed, smirking in parts, stunned in others. Hamish relates his story in journal entries, and he's a precocious, intelligent little thing ~ there's a great sense of humour in there. Smattered among the journal entries is a present day narrative which includes staff meetings (from an omnipresent POV) and Hamish's life unfolding in the correctional facility. The staff so amused me. The author is a high school teacher, and he nails that dynamic of different staff members grating against one another with differing strong opinions. Funny stuff, hey. As the story unfolds, Hamish relates different violent episodes from his childhood and each one is equal parts horrifying and intriguing, but above all, original. I don't want to give away spoilers, but some of the acts he did ~ whoa, they were creative and stunning and intelligent. Also, completely mad, yet utterly logical to him. He's not formally diagnosed in the book, but he's some kind of sociopathic genius. He has delusions of grandeur and a strong sense of honour and justice. He sees the world differently to the rest of us. There's clues along the way and a perfectly paced unveiling of some of Hamish's crimes ~ which include his most famous crime: manslaughter at the age of ten. As the story hurtles along I kept wondering where it was headed and there's a sense that anything could happen, an undercurrent of dread and suspense. So... the climax. It was a bit wild. It made for some great drama and I loved the direction the story took ~ but (sorry to be cryptic) when a certain character appeared, I found it a little incredulous and dramatic for my tastes. It still didn't stop me from enjoying it though. It's well written and compelling and I am thrilled this book has been imported from New Zealand with and Aussie publisher. It is also available internationally. It's a fascinating and strong addition to the New Zealand YA scene. I absolutely recommend this book: To anyone who is fascinated by psychology and the human mind, to reluctant readers, and especially boys. Even though it is YA, it is a book that will easily be appreciated and enjoyed by adults (my husbands got it on his bedside table to read next). Hamish has heroes who he aims to live up to. He's obsessed with them: Alexander the Great, Sir Robert Falcon Scott (Scottish explorer), prison escape artists, Joan of Arc, Hitler gets a mention, Charles Upham, Te Rauparaha (New Zealand warrior) and other historically fascinating characters are sprinkled throughout the book. It's like little pockets of intrigue weaved into the story ~ like reading the engrossing stuff out of a Guiness Book of Records ~ it's an engrossing look at some violent and impressive heroes from the past. 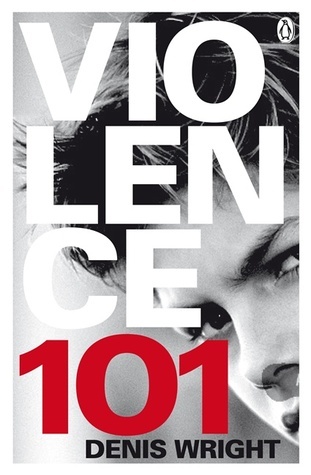 At 174 pages, Violence 101 packs a lot of punch. I devoured it and so enjoyed it. It's a perfect length for a riveting story. Quote: He (Alexander the Great) was probably responsible for hundreds of thousands of deaths, some historians say 750, 000. And how is he remembered today? Alexander the Brutal? Alexander the Freak? Alexander the Sadistic Psycho? No way - he is simply referred to as Alexander the Great. How do you think he would get on today? I think he'd get a hard time like me, and be regarded as a dangerous lunatic. Unrelated (to this review) update: Thanks for your well wishes. You're all pretty awesome ;) I'm on bed rest until March (!) which seems like forever away ~ but am starting to sneak about on-line for small pockets of time... really looking forward to hanging out with you all again, hey. Annnnd... looking forward to sharing some reviews (finally catching up on some reading while being in bed all day!) I just finished a paranormal YA today that I LOVED ~ which so surprised me, being a contemp girl and all :) So hoping to share my thoughts on that soon. It's been three particularly HORRIBLE weeks of fevers/vomiting/coughing. Was feeling worse after my antibiotics and by the time I got back to the doctors, my virus/chest infection had turned into PNEUMONIA (!) which has me RIDICULOUSLY EXHAUSTED and still mostly bed-ridden. I'm on the right drugs now, but recovery may take a while... sigh. Missing my lovely bloggy world and all your posts and can't wait to be well enough to read again (am currently too sick to read a book) and bop around to all your blogs.